The police officer walks across the room and approaches a pair of men having a disagreement. “First of all, I don’t have my ID with me,” one of the men responds. “I see you got a badge,” the other man says as he waves his arm, his voice rising as he starts complaining about being questioned. The three begin to talk over one another much more than with each other. In a few seconds, the former gang members are smiling. The role-playing exercise they’re participating in tranforms into light laughter among the men learning the techniques to resolve disputes peacefully and their instructors, a group of UCLA undergraduates, professor Wellford “Buzz” Wilms and Reynaldo “Wizz” Reaser. 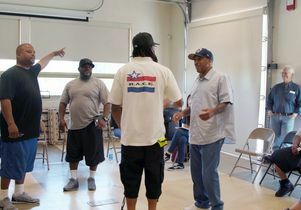 After leaving gang life, Reaser, a former member of the Raymond Avenue Crips, went on to found an organization called R.A.C.E., which stands for Reclaiming America’s Communities through Empowerment. Wilms, professor of education emeritus in the UCLA Graduate School of Education and Information Studies, has spent his career dedicated to finding ways to apply his scholarship and some of UCLA’s institutional influence to advance social justice and equality. After taking a conflict mediation class in 1998 taught by Avis Ridley-Thomas, then-director of the dispute resolution program in the Los Angeles City Attorney’s Office, Wilms had the idea to bring that to UCLA. So he invited Ridley-Thomas, now a lecturer in the UCLA César E. Chávez Department of Chicana and Chicano Studies, to partner with him to create a similar course at UCLA. 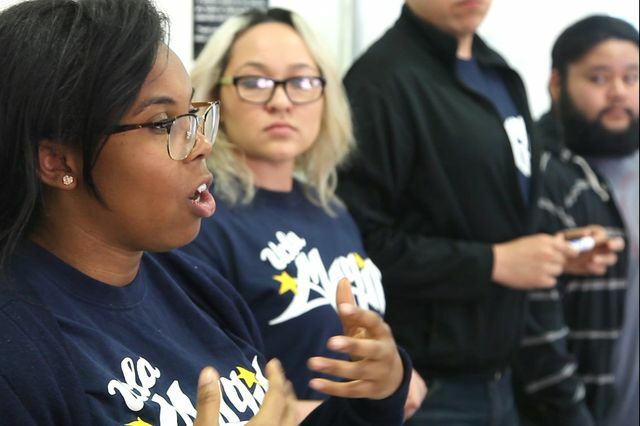 Since 2002, “Restoring Civility” has sent nearly 500 UCLA students into schools in South L.A. to serve as mediators and to teach mediation to parents, teachers and police officers. Last spring, students in the class had the unique opportunity to take their learning beyond the classroom. Working with Reaser and under the guidance of Wilms, six of the students went into gang territories in South Los Angeles to do work that can mean the difference between life and death. In 2017, Reaser and other gang interventionists received training from Wilms in ways to try to bring peace to their communities. 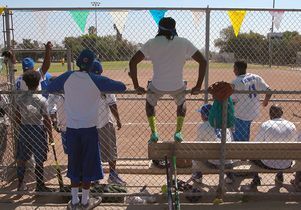 Reaser created a softball tournament in 2016, with teams made up of former gang members from several neighborhoods — some with a history of violence among them. 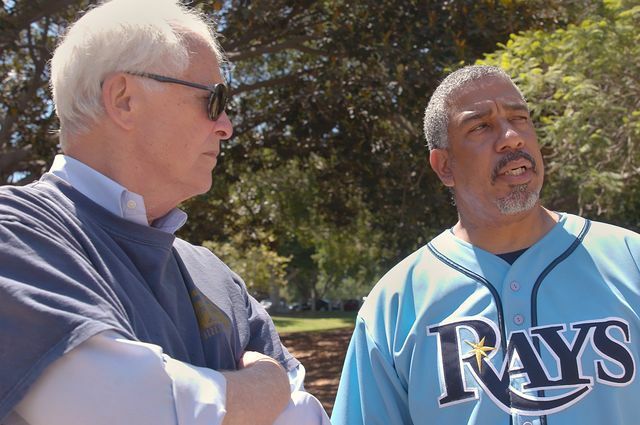 “I started this softball tournament to unite a lot of different neighborhoods together,” Reaser said. But, he added, the tournament isn’t solely for the gangs. It’s for the community. Reaser said that while membership in a gang can be seen as a form of “protection” for disenfranchised youth, for generations it has devolved into violence. 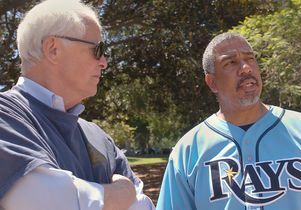 Reaser sought out Wilms’s advice on training a group of “ambassadors” to defuse any conflict that might arise during the softball games. Wilms immediately thought that his students taking “Restoring Civility” would be a good fit to teach the former gang members how to keep the peace. For the UCLA students, the work of the class has demystified the lives of at-risk youth and gang members. For the schools and organizations they serve, the students provide the sense that there are people who care about areas of the city where drugs and gang crime are more common than anyone deserves. Perla Ramirez, a third-year student in Chicana and Chicano studies, said that the experience has taught her to address the needs of a community rather than impose her vision of what would be helpful. 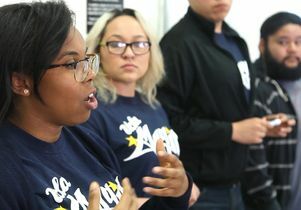 UCLA students Jazzie Collins, left, and Bernice Andrade, who taught mediation at Soledad Enrichment Action in South Los Angeles, give their final presentations. 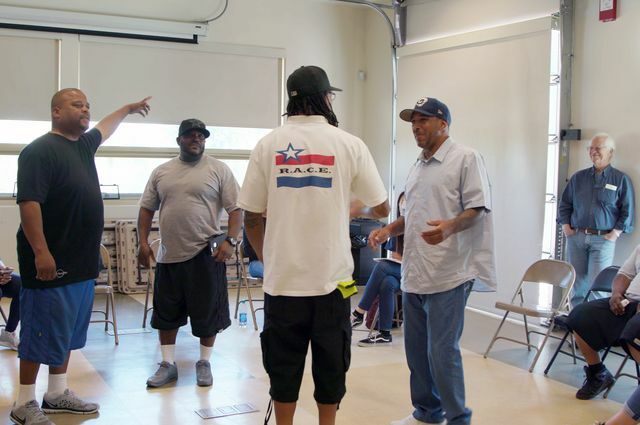 Wilms saw the challenge of training former gang members to become expert mediators as a rich learning opportunity for his students. Adi Shapira was one of Wilms’ students who helped to train the ambassadors in mediation techniques through those role-playing scenarios. Danielle Phung, who graduated last year with degree in English and a minor in educational studies, said that training the ambassadors was an invaluable experience. People training to become ambassadors act out role-play scenarios to learn how to prevent disagreements from becoming dangerous conflicts. 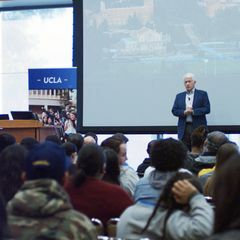 Wilms said that Keith Parker, the former UCLA assistant vice chancellor for government and community relations, has been a strong supporter of his work because Parker sees the need to build more connections between South L.A. and UCLA. Parker contributed funds to help support the course and to welcome young men from OneWay Outreach, a nonprofit that aims to reduce violence in South L.A., to UCLA for basketball games and campus tours. Since last summer, Wilms, OneWay, and the staff at Mann UCLA Community School have been meeting to plan expanding mediation into the community. Wilms, who has just completed a book titled, “Blind to Injustice and How I Learned to See: Eight Years on the Streets with the LAPD and The People,” said he hopes that his students gain a deeper understanding of South Los Angeles through their experiences in “Restoring Civility,” and develop mediation skills that they can apply to their own lives and careers. 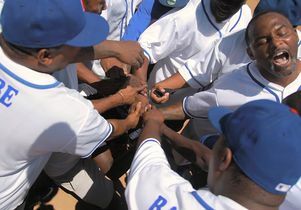 Softball players with all hands on top of one another in a circle prepare to break their huddle.